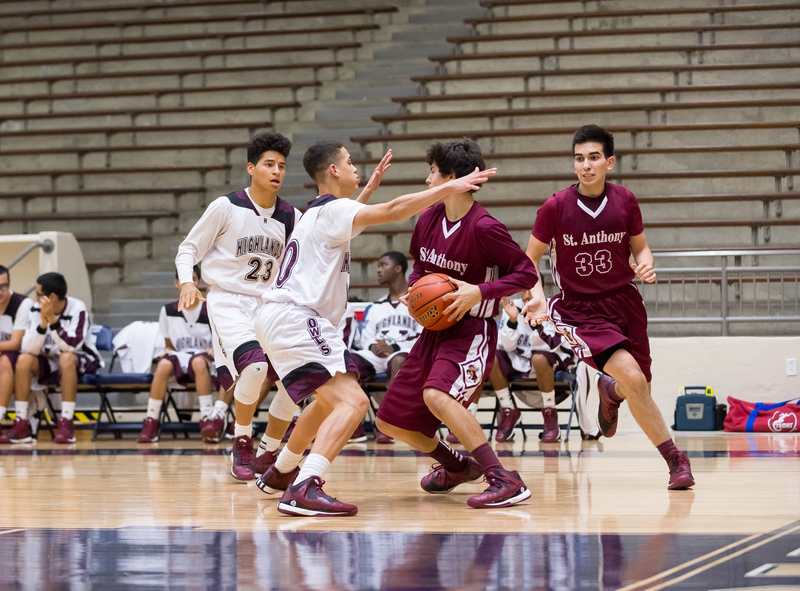 The Owls' Lamar Sterling (10) and Armando Ferguson (23) spring a backcourt trap against St. Anthony's Asa Meyer. 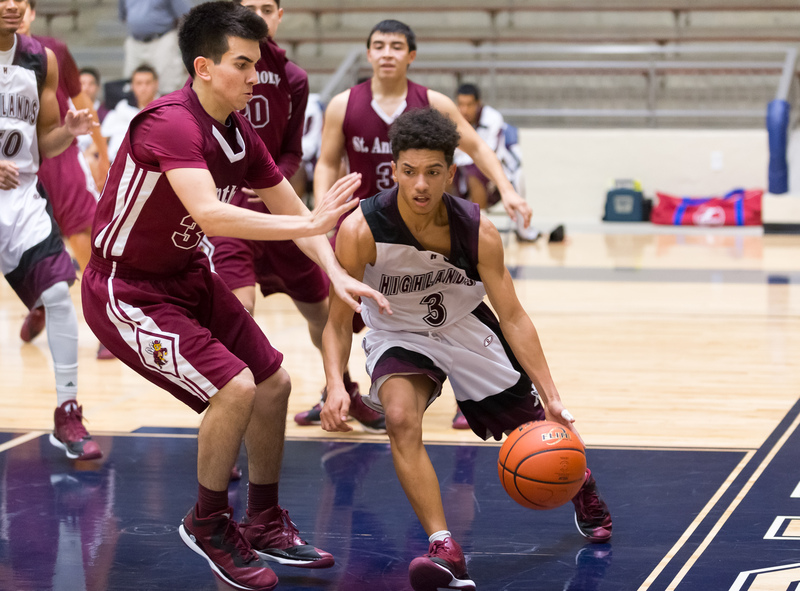 The Owls’ Lamar Sterling (10) and Armando Ferguson (23) spring a backcourt trap against St. Anthony’s Asa Meyer. 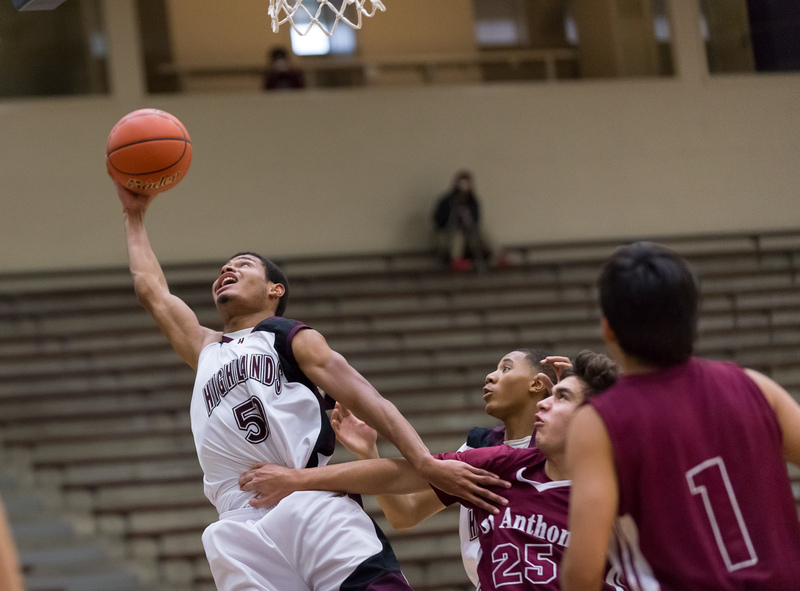 Highlands post Joseph Jackson corrals a rebound with one hand vs. St. Anthony. Owls point guard Jamaria Moody drives the baseline against a Yellowjackets defender. 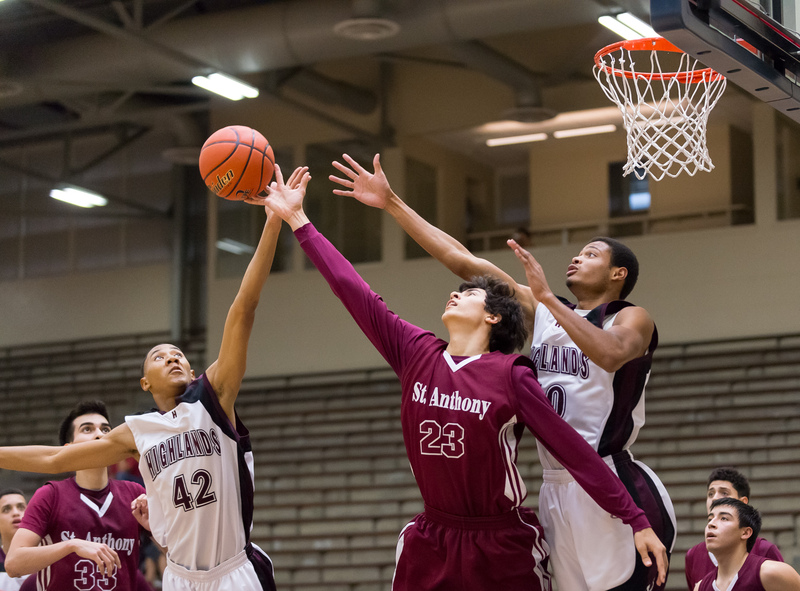 Highlands’ Christopher Hartfield (42) tips a rebound away from St. Anthony’s Asa Meyer (23). 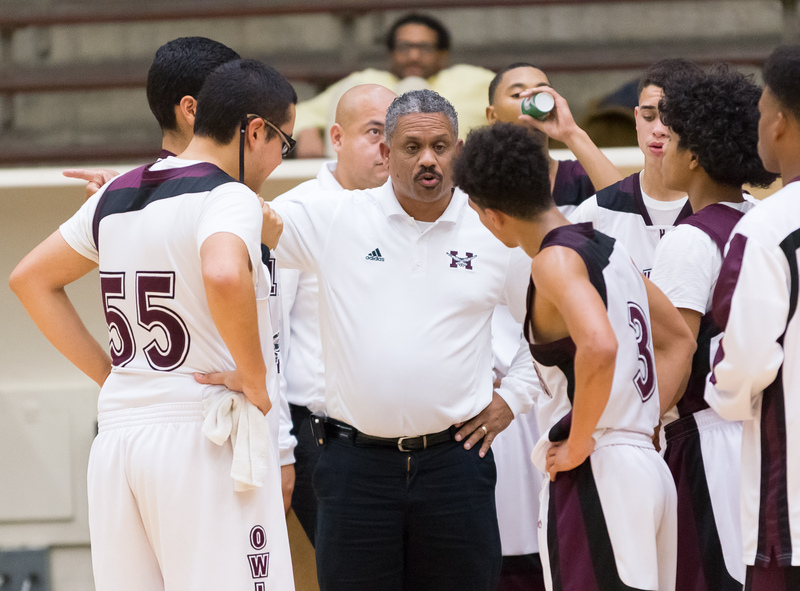 Highlands coach Rufus Lott discusses strategy with his team in the Owls’ 62-60 win over St. Anthony.